It is well known that poor oral health by way of gum disease can increase the risk of health issues throughout the body, including an increased risk of cardiovascular issues such as atherosclerosis and heart problems. A new study shows that bacteria related to gum disease may also relate to cancer of the pancreas. Researchers have found that antibodies the body produces to fight off a harmful form of oral bacteria are found in high levels in those with pancreatic cancer. In fact, those with high levels of these bacteria that cause periodontal gum disease are at nearly twice the risk of developing this specific type of cancer. This is almost as high as the risk of developing pancreatic cancer from smoking. Pancreatic cancer is often difficult to detect until it is severe, with those affected typically having about six months to live after the cancer is detected. The potential of predicting this cancer through blood tests and oral health can go a long way to detecting the disease early for better treatment options. 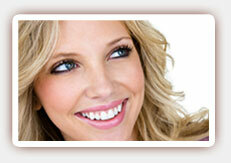 It is important to see your dentist on a regular basis for good oral health and proper oral hygiene. Our dentist in West Hollywood can perform a thorough examination and give you any needed periodontal treatments to help protect your teeth, gums, and overall health from the negative effects of harmful bacteria linked to both periodontal gum disease and other health problems that may include certain types of cancer.